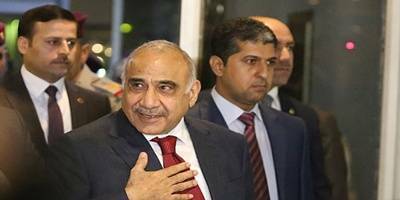 According to a statement from Mahdi’s media office, the Iraqi Prime Minister on Saturday highlighted the need to focus on cooperation in economic fields, while expressing his appreciation for France’s role in fighting the Islamic State (IS) militant group and aiding internally displaced persons, Xinhua reported. Meanwhile, Parly reaffirmed her country’s support to Iraq in achieving stability and fighting IS remnants, stressing the willingness of French leaders to continue cooperation with Iraq in the rebuilding process and development of services. Parly arrived in Iraq’s capital Baghdad on Friday in a surprise visit. She also met with Iraqi President Barham Salih and discussed with him regional and international developments and means to boost ties.